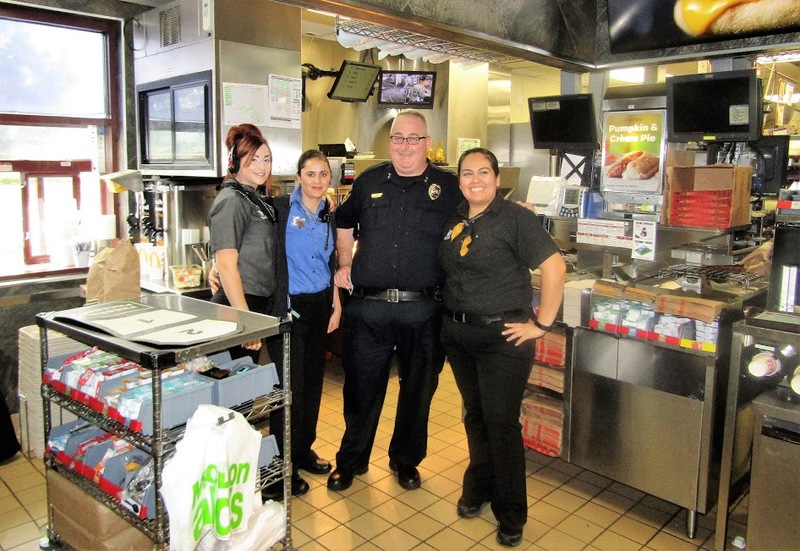 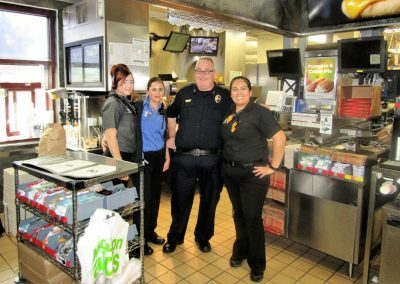 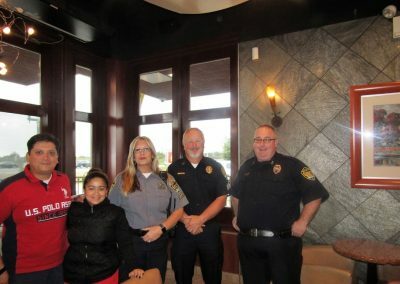 On Wednesday, October 4th, On National Coffee with a Cop Day, the Owner/Operator of the South Elgin McDonald’s invited officers from the South Elgin Police Department and Community Members to come together in an informal, neutral space to discuss community issues, build relationships and drink some delicious McDonald’s Café Coffee. 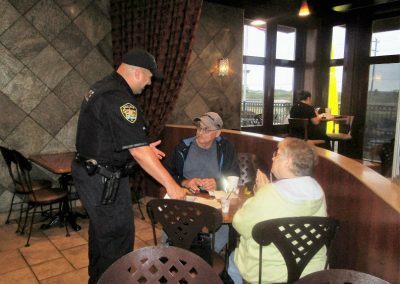 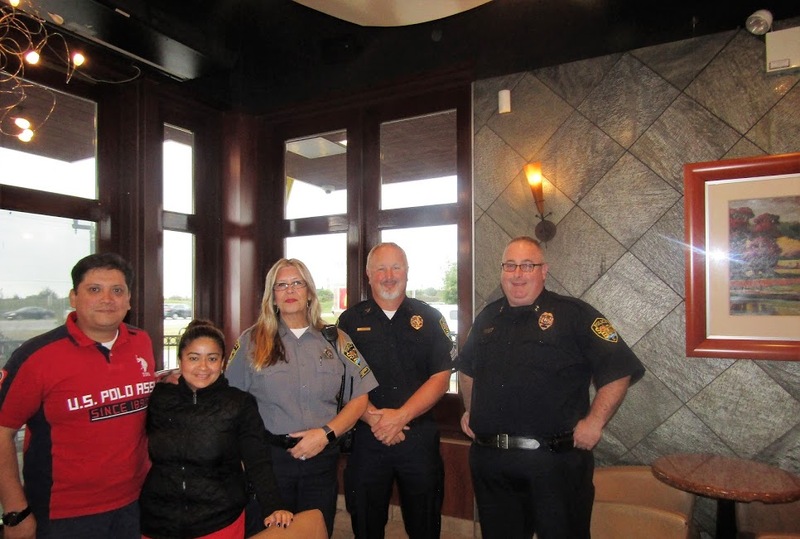 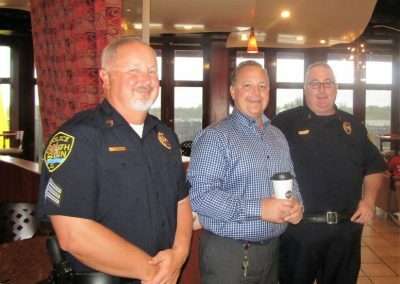 Coffee with a Cop provided a unique opportunity for community members to ask questions and learn more about the department’s work in the South Elgin neighborhoods as well as have a chance to get to know the Police officers on a more personal level. 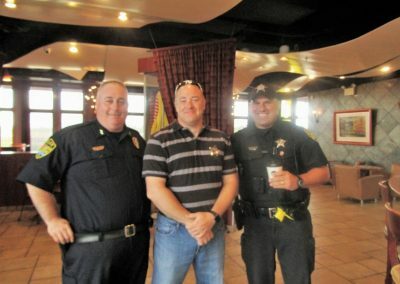 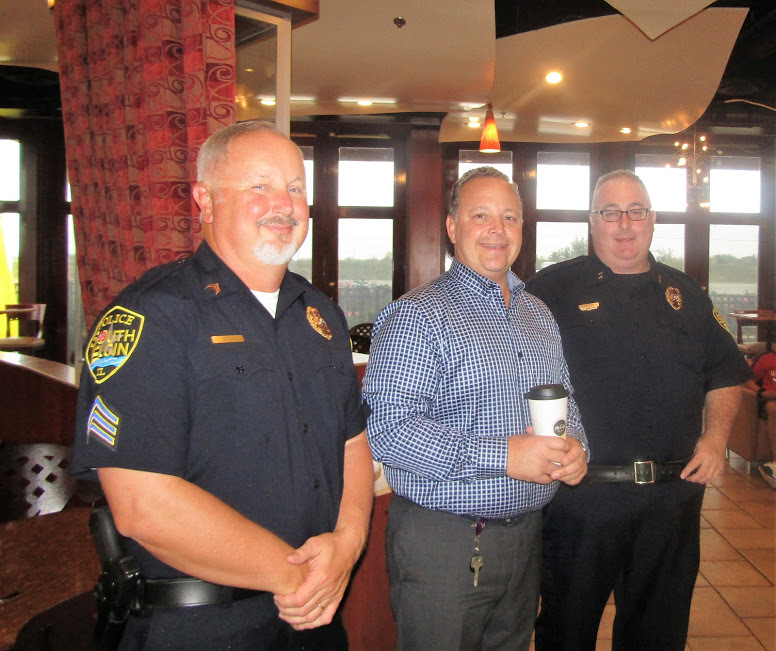 Deputy Chief Randy Endean, Sergeant Mike Doty, and Officer James Creighton attended the event and enjoyed conversation with the community members that came out to this National Coffee with a Cop Event. 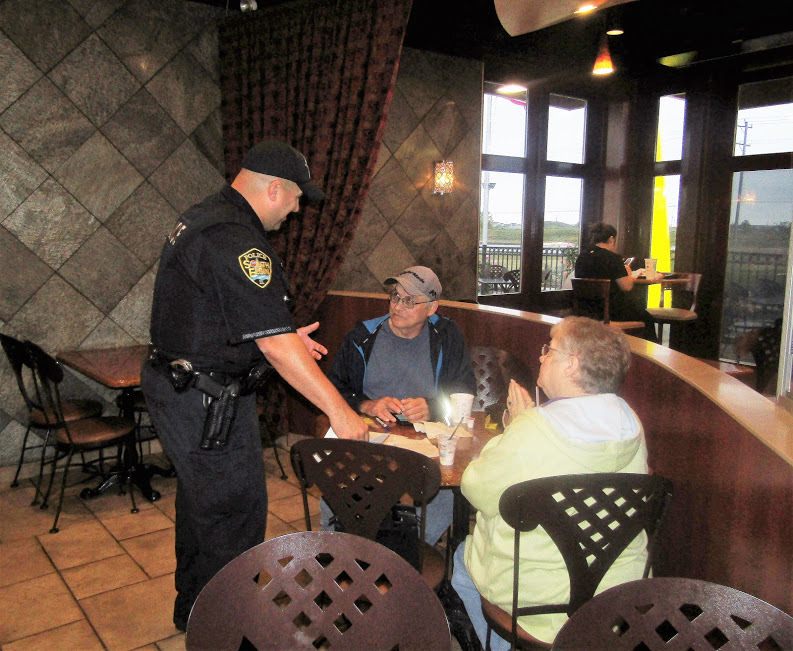 The Officers brought several handouts for the community that included emergency phone numbers, flashlights, pens as well as whistles that are part of a program called the Whistle Defense Program, this is a tool to aid the police in deterring or preventing crime in neighborhoods and provides the residence with a tool to call for help if lost, sick or injured. 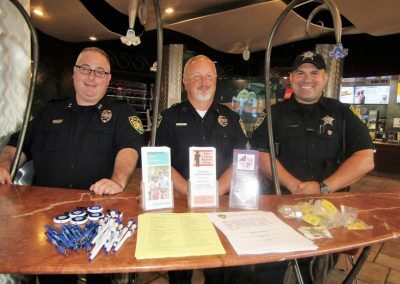 More information can be found about the Whistle Program as well as several other resources by visiting the website at www.southelgin.com/police. 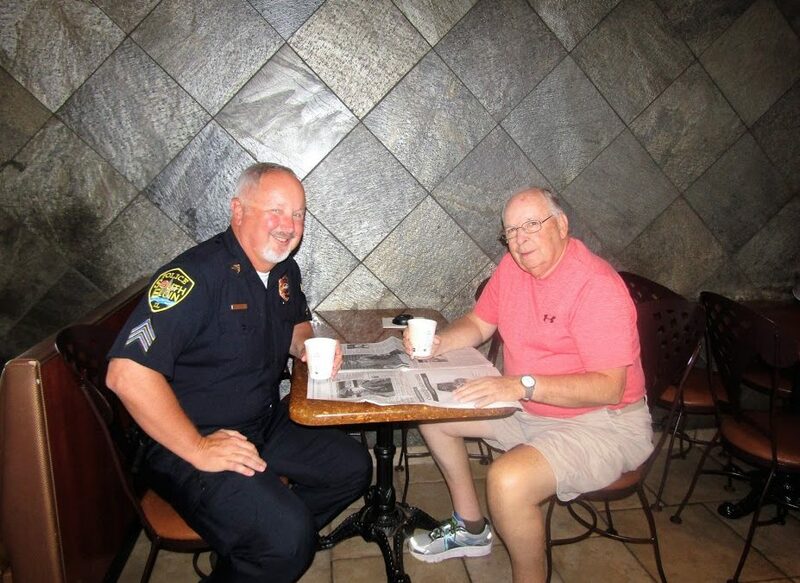 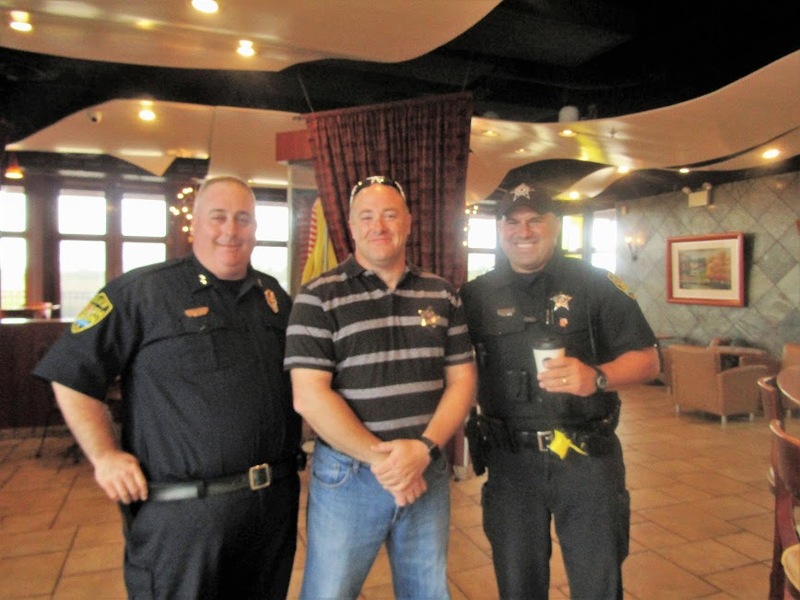 A special thank you goes to Officer James Creighton, who coordinated the Coffee with a Cop event, as well as all the other officers that came and served coffee and mingled with the community.